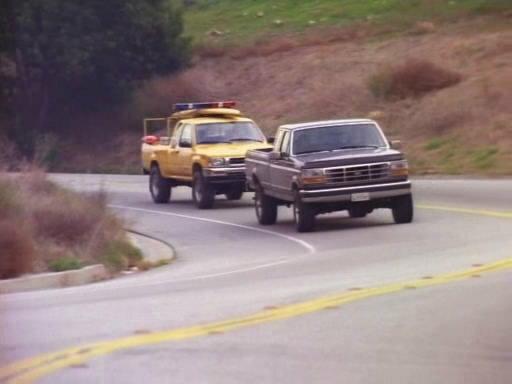 IMCDb.org: 1992 Ford F-250 SuperCab XLT in "Baywatch, 1989-2001"
I would say this is 1992 Ford F-250 SuperCab due to these wheels. I agree. It's an XLT model as well.